A $5 cleaning hack has officially sent the internet into a spin. Fans of cheaper cleaning options have gone wild over the results of an everyday product that appears to be amazing at removing stubborn stains and bringing items back to their former glory. 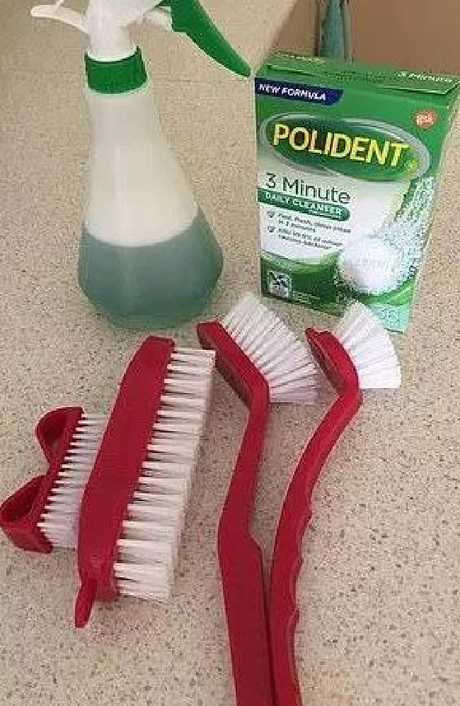 The $5.49 denture cleaner called Polident has been praised by a number of different users, who say it's transformed their mucky kitchen tiles, revitalised old couches and even wiped out nasty odours from smelly shoes. 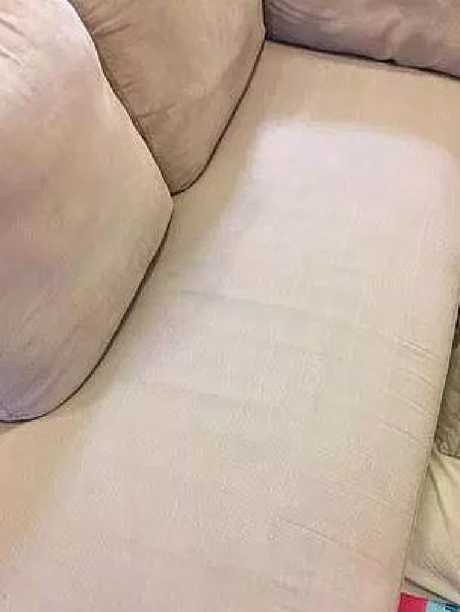 It all started with a simple post in an Aussie Facebook group, Mums Who Clean, where a woman shared her impressive before and after shots of her beige sofa after giving it a good scrub using the denture cleaner. 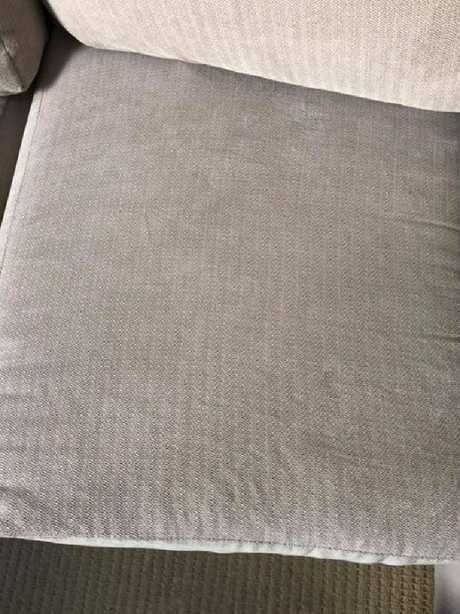 After mixing just three of the tablets with some warm water in a spray bottle, she said she let the solution soak in for five minutes before scrubbing the sofa "hard" with a dish wash brush - using a towel to absorb the dirty water. "It has come out great," she wrote, alongside the impressive photos. 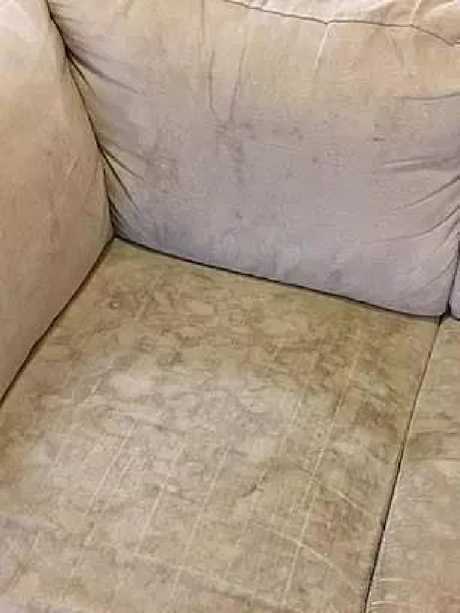 "Our sofa is about five or six years old and this is the first time we've cleaned it." 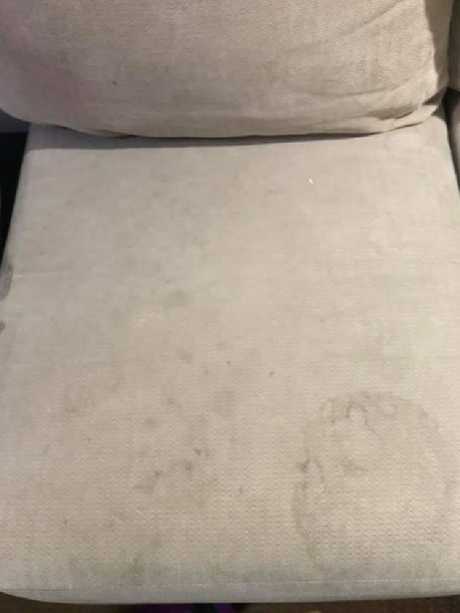 The mum repeated this trick until the towel came back clean, using three bottles of water and nine tablets in total to make her sofa look as good as new. The mastermind of multi-millionaire sponge company Scrub Daddy, Mr Aaron Krause, said it seemed like a natural extension for the effervescing product. 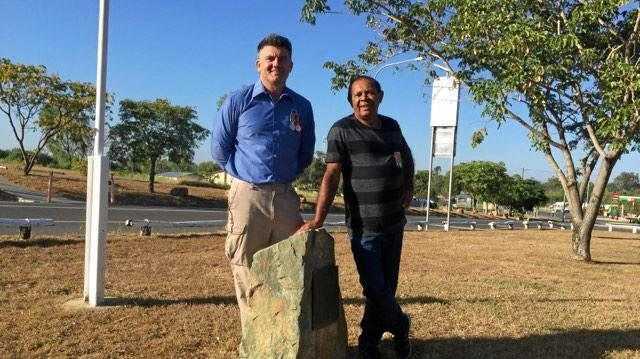 "I am not surprised that a product such as Polident is being used successfully in an application outside of its intended use," Aaron Krause told news.com.au, adding the effervescing effect in the item helps "lift" and remove stains. 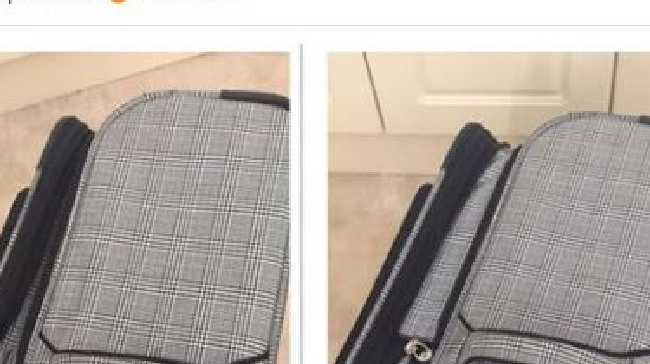 With fresh inspiration, another woman took to a similar group Mums Who Cook, Clean and Organise to reveal she'd used the nifty trick on her bathroom floor and was loving the results. "I used the Polident whitening ones tablets, put two in a spray bottle with water," she shared. "The whole bathroom floor took me with 40min with toothbrush. Sure a grout brush would of quicker." Not only was she impressed she's got that pesky grime out from between the tiles, but she added the room was now "minty fresh". While many favour the Polident brand, another helpful member revealed that other brands work just as well. "Any denture cleaner will work, I use the Aldi brand," she said. Aldi's alternative comes in much cheaper at $6.99 for 106 tablets, perfect for real bargain hunters. 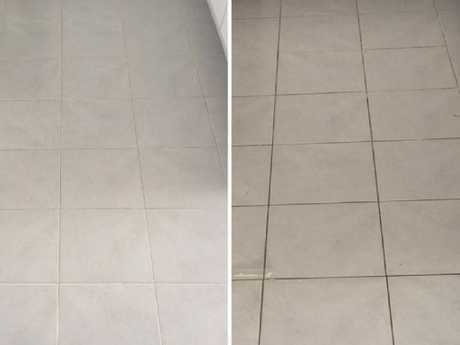 Another proud home keeper shared their results, saying they don't usually believe in "gimmicky" cleaning products, but were thrilled with the difference in their kitchen tiles. "After years of grimy splash back grout … today I tried the Polident tablet in water and 10 minutes later my grout looked like this," she wrote. "Truly amazing. No longer need to be embarrassed by my kitchen." It's not just giving a new lease on life to your furnishings that these humble effervescent tablets are good for. According to home blog Apartment Therapy, you can get rid of the pungent aroma of smelly feet in old trainers using the tablet. They say you can make stinky trainers as good as new by filling a bucket up with hot water and three denture tablets then soaking your shoes in the mixture. 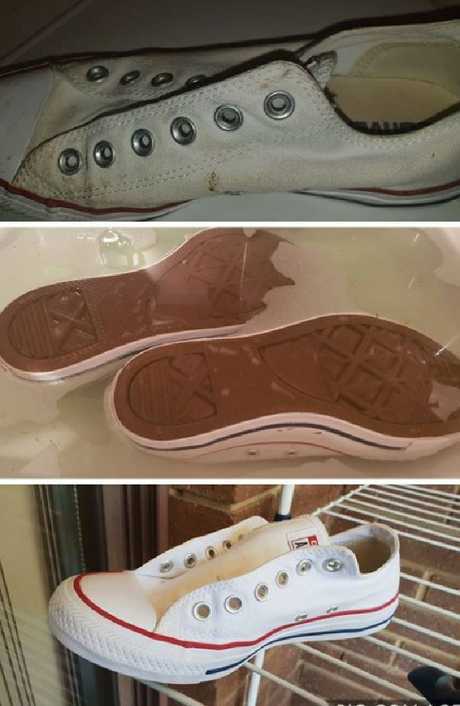 One mum gave it a go and discovered her mucky Converse shoes came up sparkling white too. "My shoes were already yellow so I had nothing to lose," she wrote. "But after I left them to soak in Polident over night and now they are like new!" While she used six tablets to get her result, it's still an impressive save of shoes that were about to be thrown away. The technique is also perfect if you've got teenagers. One of the most popular questions about the cleaning power of the tablets is "can I just throw a tablet into the toilet and let it do its magic?" Unfortunately, this was one of the only hacks we found that had mixed reviews online. While some raved about it being the quick and easy way to clean a toilet, others said they'd had no luck. If you do want to use the denture cleaner in your toilet, drop a tablet or two in and leave for 20 minutes. Then come back and give it a good scrub with a toilet brush. As many people are discovering, there appears to be an array of different uses for this bargain denture cleaner around the home. 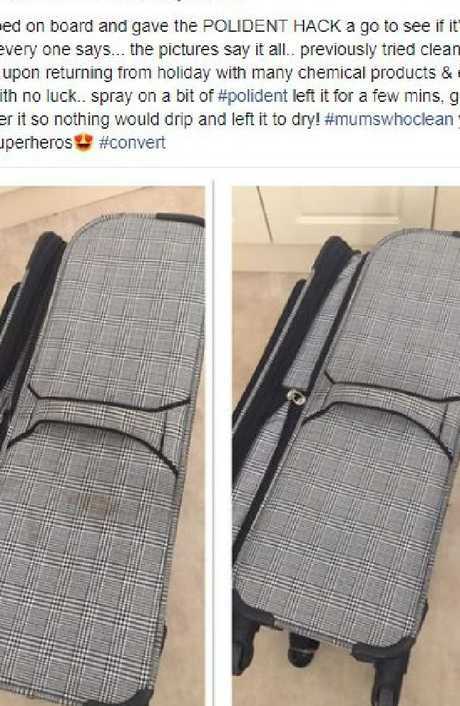 One excited Facebook user revealed they used the mixture on an old suitcase to bring it back to life, while another said they'd use it to unclog their drains. Someone else said it worked a treat with stained coffee cups and on soiled pots and pans too. It has also been said to be great with jewellery, supposedly bringing back the shine in no time. And you know when your Tupperware turns a funny colour from rich sauces? Yep, Polident is meant to tackle those stains too. IS IT REALLY TOXIN FREE? Many fans on social media declared their love for the hack, saying it meant they didn't have to breathe in fumes from chemicals when cleaning. While the incredible cleaning option is definitely better for you than traditional bathroom cleaners, Tracey Bailey, Founder of eco-friendly and low tox living website, Biome warned it's not entirely free of chemicals. "It's not completely toxin free, but its main ingredients are bicarb soda and citric acid - which is a take on the old fashioned cleaner of bicarb and vinegar." Another reason people love the $5 cleaning hack is because it’s fume free. However the tablets have other ingredients mixed in, including an oxygen bleach that is an alternative to harsher options such as chlorine. "Brands like White King and Exit Mould will smack you in the face with their chemical fumes, but oxygen bleach is different," she told news.com.au. "For an even cheaper option and a 100 per cent toxin free alternative, I'd recommend mixing bicarb soda with white vinegar."